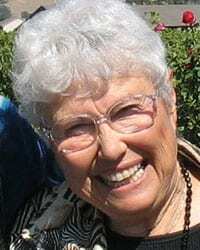 JOYCE PIKE is a sixth generation Californian who is listed in many major art publications and directories such as: “Who’s Who in American Art”, “World’s Who’s Who of Women,” and, “The National Biographic Society.” She is a master signature member of Oil Painters of America and emeritus member of Women Artist of the American West. After studying with Sergei Bongart, Hal Reed and Viona Ann Kendall, she taught at Los Angeles Valley College for seventeen years, and has given workshops in Europe, Mexico and throughout the United States. Joyce has been featured in “Art of the West Magazine”, “International Artist Magazine”, “The Artist Magazine”, and “Fine Arts Collector”. Her major awards include the American Artist Grand National Award for Floral Art. She has exhibited her work throughout the world and has been featured in several one-woman shows. Joyce’s paintings have been displayed in the following museums: Museum of Singapore, China; Museum of Art, Elmira, New York; Museum of Art, Palm Springs, CA; Elverhoj Museum, Solvang, CA; and Bowers Museum, Santa Ana, CA. Joyce has the following three books published by North Light in print: Painting Floral Still Life, Oil Painting-A Direct Approach, and Painting Flowers. All of these books have been printed in China and France. In addition to the books, Joyce has made forty-five one-hour videotapes on painting floral still life, landscapes, seascapes, marines, and portraits available through Art Video Productions. Pike has authored numerous articles published throughout the United States including “Basic Oil Painting Techniques,” “Enliven Your Paintings with Light,” ” Basic Portrait Techniques,” and “Best of Portrait Painting”. All of which have been published by North Light Publications. For may years Joyce has admired the works of Franz Bischoff, the famous porcelain painter. Now, after having a successful career in fine arts. Joyce is enjoying a life long dream of painting on porcelain. Her paintings on porcelain include floral, fish, animals, landscapes, and seascapes. Joyce resides along the Central Coast of California, which is one of her principal sources of subject matter for her combinations of realism and impressionism.